18″ x 24″. Oil and tempera on panel. 2012. 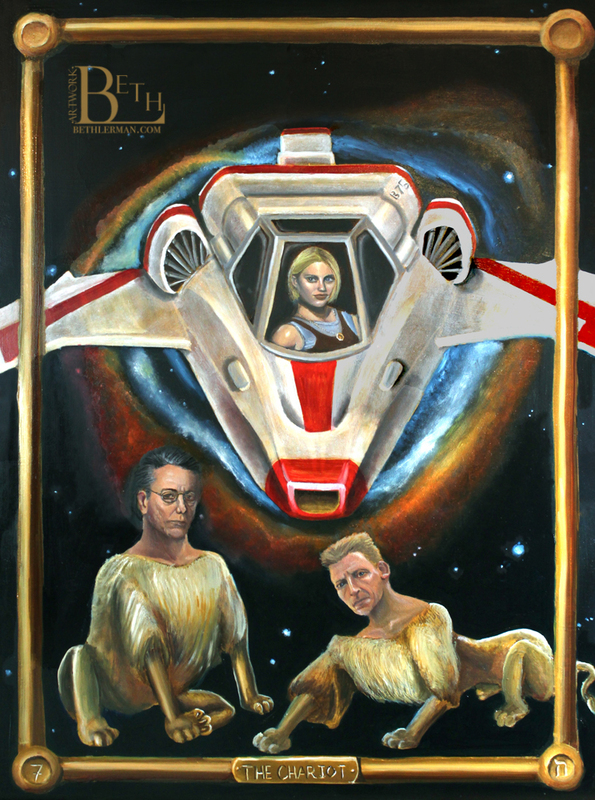 Featuring Starbuck, Admiral Adama and Lioben from “Battlestar Galactica.” Part of Zeitgeist Tarot.